FREEDOM Gala, is our lively, beautiful, and highly anticipated annual fundraising event, being held at the Mark Hopkins Hotel on May 17, 2016. Join our loyal friends, including Gavin Newsom, Jennifer Siebel Newsom, Rita Moreno, George Gascón, Dave Eggers, Lily Samii, Ken Fulk, and Gary Danko, in supporting The Imagine Bus Project and our mission to engage and inspire incarcerated youth. As a small but mighty organization, 30% of our annual budget comes from our fundraising events and we cannot do what we do without your support. 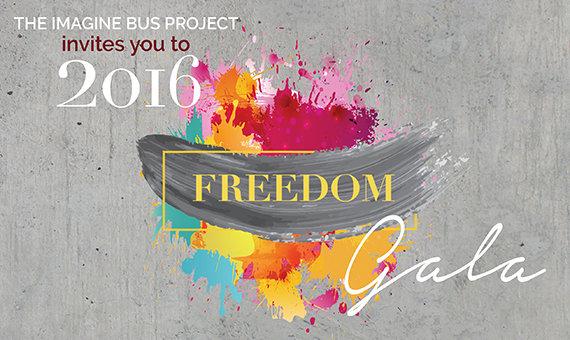 Join our list of change-makers and become a FREEDOM Gala supporter today!